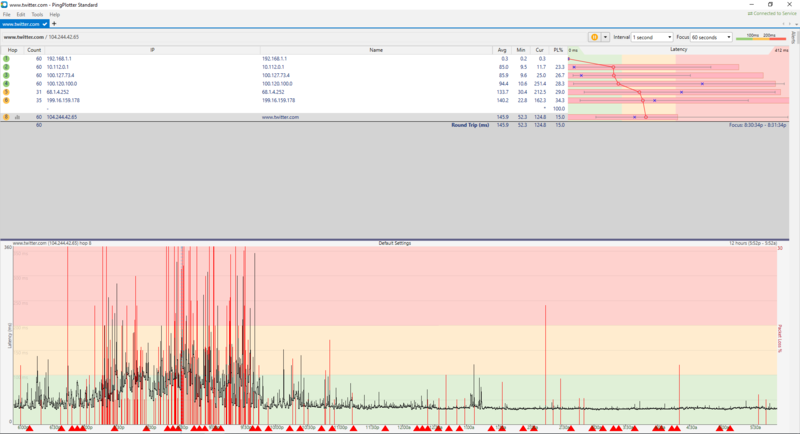 Here is an image of my internet from last night. 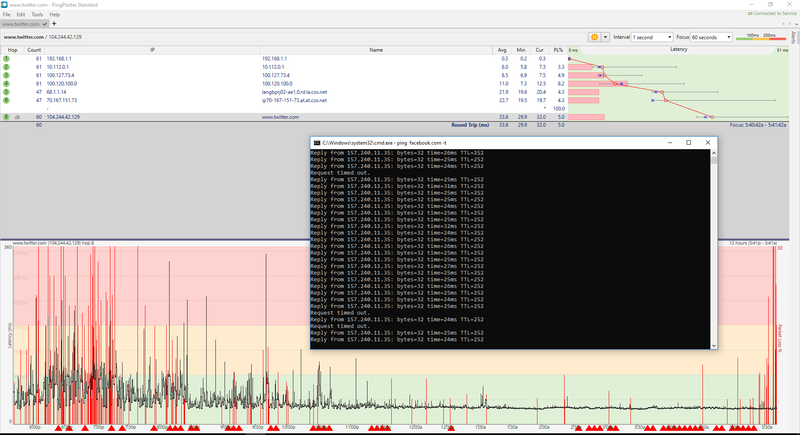 20+% packet loss. This is ridiculous and deserves to be addressed. 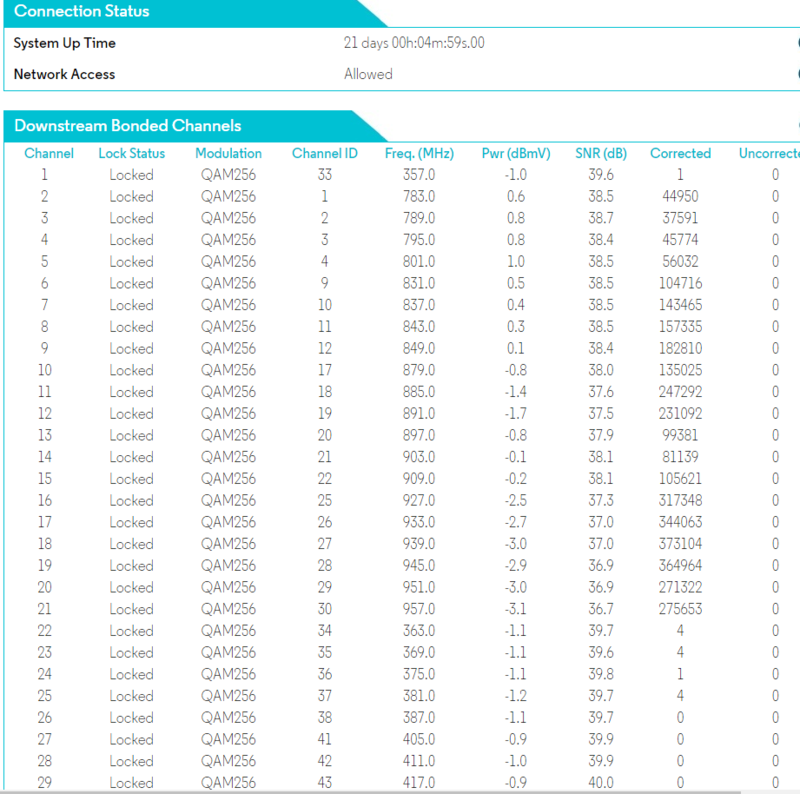 My router is brand new and is demonstrating no issues according to my packet loss tracking utility. 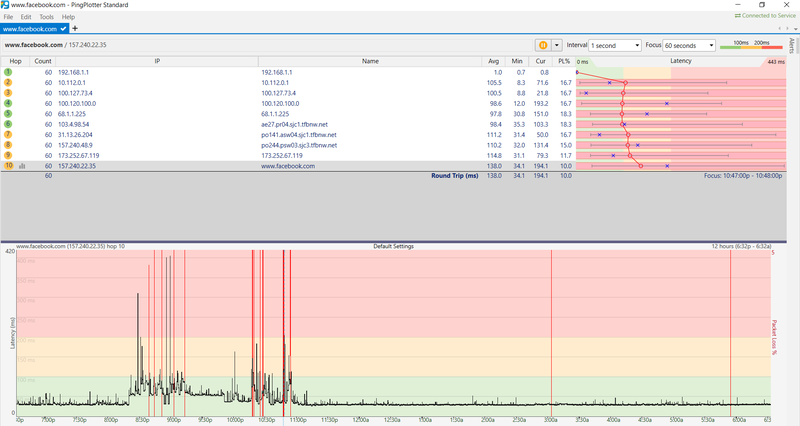 This is a problem with Cox's infrastructure beyond my home. 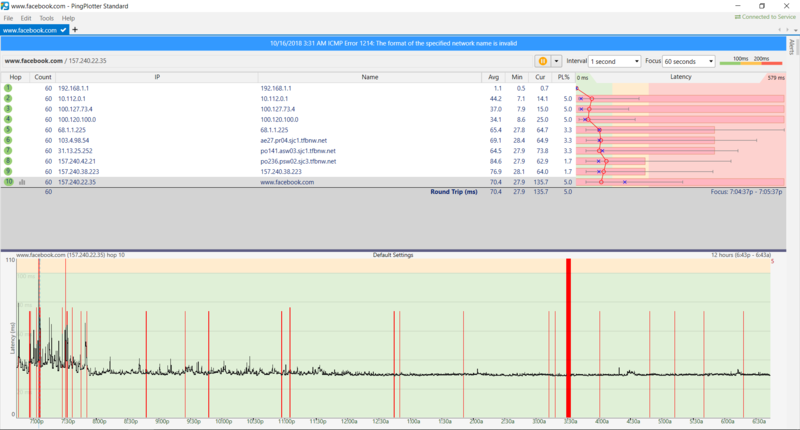 This is a problem with Cox's infrastructure beyond my home. When the technician confirmed that, did they mention any maintenance tickets being open? Also, how many technicians have been out to your house in total? Might be time to think about a FCC complaint to get in touch with the right Cox people(CLI crew) in the area. See here for more on cable leakage. We can certainly get this reported. 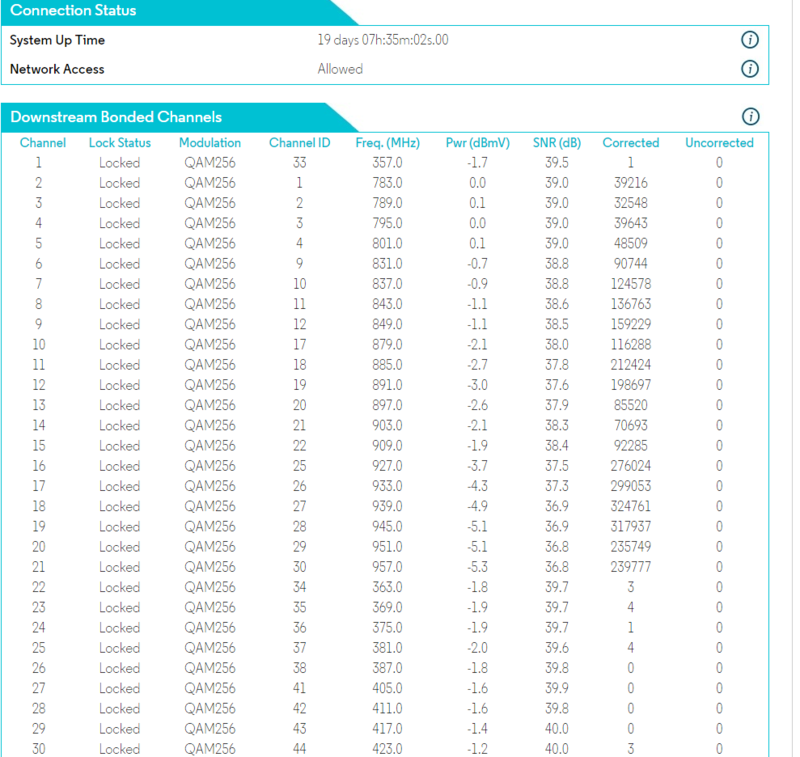 At this time I am not detecting packet loss. do you notice this issue happening at a specific time of day?